A very misleading post. 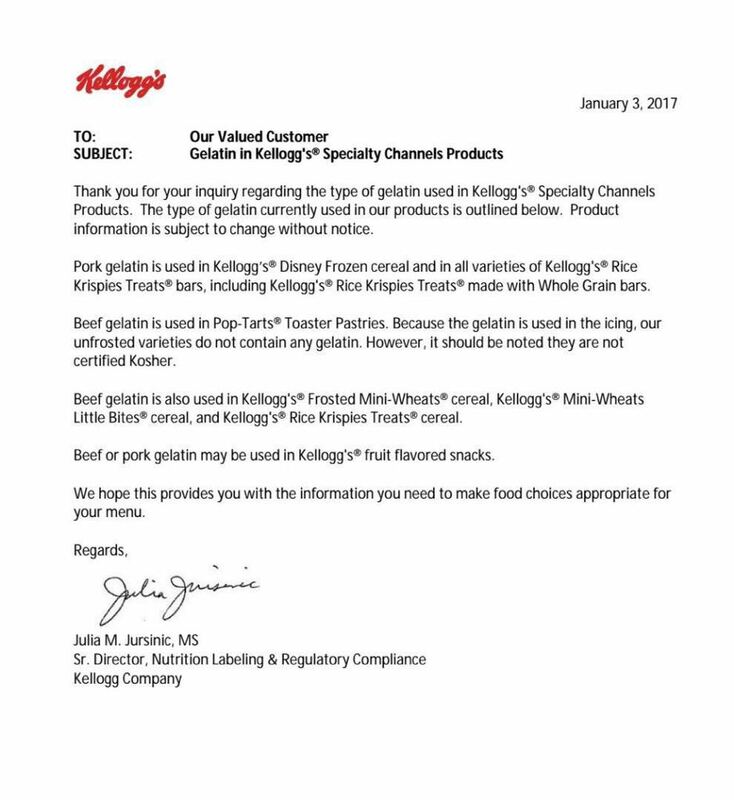 The KVH has always maintained that not all Kelloggs products are kosher. This is one of the few cases where a K actually means something. Why is this news? These items are not certified and do not have a “k” on them, or any other hashgocho. One can assumr that most gelatin in non-certified foods are treif. Especially Kellogg who get anything psosibLe certified. This is not a kashrus alert. It’s an idiot alert. If a product is not certified kosher, don’t buy it whether it’s Kellogg’s or Heinz or Herr’s or any company. Why is this a kashrus alert? IIRC, the products mentioned do not have a hechsher on them. 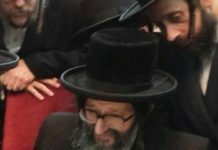 While I agree with the other posts that these products do not have a hechsher so why is this news, it is still something good to share with the world. Unfortunately, there are just to many people who are not careful and assume that if kellogs cereals are kosher then they must all be kosher. Not everyone realizes that there are some cereals don’t even have a “K” on them. As is, kellogs cereal is the rare exception that a simple “K” is good enough. I do not believe there are any other products out there that have just a “K” that are reliable to be Kosher. Thank you Matzav for pointing out this all important reminder to the general consumer of the need to be careful and to always make sure before you eat something that there is in fact a good hechsher. Also, thank you for the insight to understanding how something like gelatin can be so treif. There are many people who have no idea what gelatin even is or why it could be an issue. Reading here that it is pork gelatin is an eye opener to many. You guys are right but it still makes a great headline for a quiet day. It’s significant because too many people just buy Kellogs thinking that K is something meaning Kosher. It is not certified and K there can, possibly, mean nothing more than K for Kellogs. How someone can buy a cereal without a suitable hashgacha, and feed it to his children is beyond me. There are so many good cereals – very, very good cereals – bearing good hashgacha, what’s the desire to only buy Kellogs? Well, perhaps this may do it! Pork gelatin! 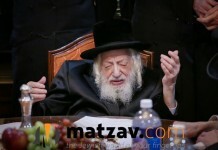 HaShem yeracheim! Slow news day. Click bait. Well played, Matzav. Totally misleading. Take down this post. Letoles hatzibbur please remove this worthless outdated piece of nonsense. If a Kellogg’s cereal has a K it’s fine if not stay away. In most cases the K has no validity except for Kellogg’s they are under the VKH of Boston even though their symbol is not on the box. To repeat only when there is a K symbol on the box of cereal. There is NOTHING new here whatsoever! Kellogg’s produces many items under many different labels. The Kosher items are either OU or in the case of the cereals, KVH certified. Both are BH reliable hechshayrim.